Birth Date / Birthday / Age 4th MAY, 1986. Her age as of updating this article in 2018, is around 32 years. 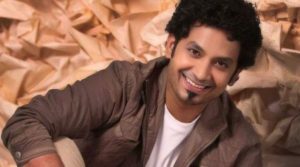 Marriage & Wedding / Spouse / Husband Her Husband Name is / Currently Married to Adinath Kothare since 2011. Born in Mumbai, Urmila Kanitkar is a trained Kathak Dancer and has an MA in it. She has taken lessons in Bhubaneshwar from Sujata Mahapatra for Odissi as well. In १९९७, she participated in the program held for Fiftieth Independence Day Celebration for India. 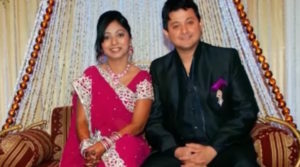 Her husband is actor Adinath Kothare, Her father-in-law is the famous actor-director Mahesh Kothare. Her family also includes her mother, Neelima Kothare, who is a High Court advocate and father Shrikant Kothare. In 2018, Adinath & Urmila had their first child – A daughter named Jiza. For her education, Urmila went to St Xavier’s in Mumbai and completed her BA degree there. Shubh Mangal Savdhan was her debut film & Tujhya Veena, her debut TV series. Aai Shappath and Sauli were her next films. Luckily, she had experienced actress Reema Lagoo as a co-star in these 3 movies. 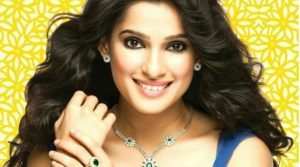 Additionally, during her debut movie, she also met Adinath Kothare, her future-to-be husband. He was an assistant director in that movie. They got married in 2011 & went on to have a baby daughter in 2018. Later in her career, she did some romantic roles for the movie Pyar Wali Love Story, Timepass and Duniyadari. 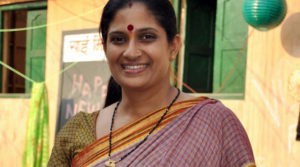 Duniyadari was a super hit, and her role was appreciated. She has also played some sensitive roles in movies such as Kaakan and Mala Aai Vhaychay, in this movie she played a role of a surrogate mother. She has also done some Hindi serials like Maayka and Mera Sasural & few marathi serials like Asambav, Goshta eka Lagnachi etc. Her dance performances in Ekapeksha Ek – Apasara Ali are also remembered.